We had some ridiculously warm weather in Vermont recently. Temperatures were in the 70s and 80s for about a week straight and there was plenty of sunshine to put us all in good spirits. 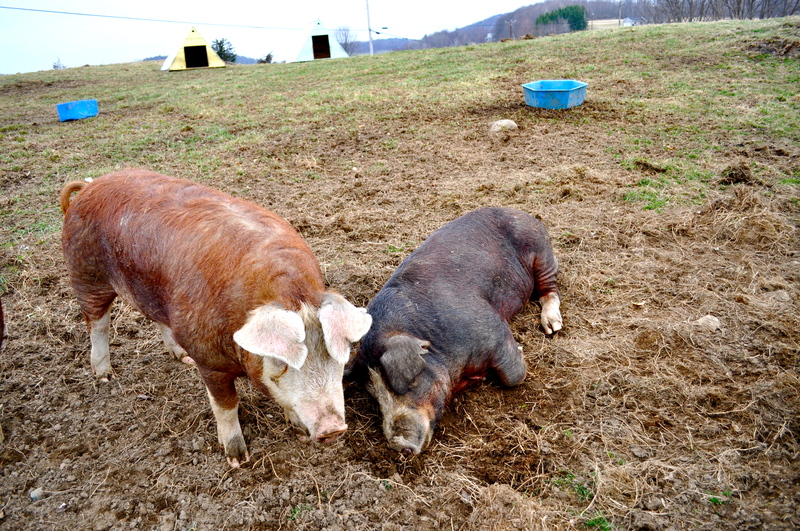 Well, most of us enjoyed the weather – a few members of the farm found the warm air and sunshine a little oppressive. Our boar Hugo was so hot he could hardly get up to eat!